So we are four weeks in a new year and a promise for a new you, but maybe you already find yourself stuck in a fitness rut? 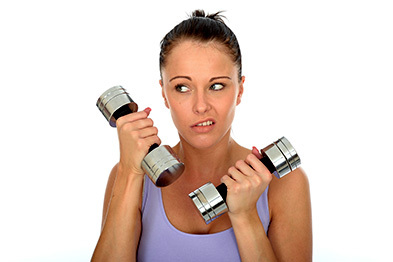 Are you having trouble even making it to the gym? Then skip the suffering and bring some youthful energy into your life by revisiting childhood favorites. Do something that you really enjoy. For instance, if you and your best friend loved to choreograph routines to the latest Madonna song, you might want to try adult-oriented dance or barre fitness classes. If tossing a ball around the backyard was more your style, find an intramural softball league with players at your fitness level. Motivation can be hard to come by, and being stuck in the same routine doesn’t help. To combat boredom and get your brain engaged, try finding an activity that challenges your mind and skill set as well as your physique – think martial arts, yoga or ballet, all of which start out with beginner moves and get more complex as you progress. Not only will you stay fit, you’ll be learning something new! A win/win in our book!